Kerala Ayurveda Tour is intrinsically a form of wellness tourism. Ayurveda, translated as ‘the science of life’ or ‘the wisdom of life’ or ‘the knowledge of longevity’, is truly a holistic treatment, focused on living life in perfect harmony with the nature. This traditional form of healing therapy has been developed by Indian sages and healers as a form of science since the Vedic Age. Ayurvedic treatment of illness is done by removing imbalance in vata, pitta and kapha. Various medicinal oils and pastes, containing beneficial extracts of plants and herbs, are applied by trained masseurs to eliminate toxins, revive immunity, relieve stress and rejuvenate the body. Along with Ayurvedic massage and therapy , Kerala Ayurveda Tour will take you to many beautiful and exotic tourist destinations of Kerala. The proximity and harmonious living with nature on this wellness tour of Kerala will enthuse you with positive energy and physical fitness. Day 1 Arrival at Trivandrum - Kovalam. Kovalam sea beach is located only 16 kms from Trivandrum, the political capital of Kerala. On landing at Trivandrum, you will be directly transferred by representative of Optima Travels to Kovalam Ayurveda beach resort. On arrival at Kovalam resort, Optima India Tourism representative will ensure smooth and quick check in at the Ayurveda resort. Freshen up and relax for a while. In the afternoon, you'll be taken for a consultation to an in-house Ayurvedic physician. Relish the traditional delicacies served for dinner and spend the night at the resort. Ayurveda and Yoga are entwined together and have to be employed both simultaneously to heal up and rejuvenate mind, body and soul. That’s why Ayurvedic therapy of Kerala is a holistic in approach. Your routine in Ayurveda resort will commence from the early morning hours with Yoga and meditation session, which will be followed by an Ayurvedic rejuvenation massage. The afternoon will be at your disposal. In the evening, you'll be free to wander around the vicinity of the resort and immerse yourself in the natural beauty of the scenic destination. Night stay will be at the resort. On 3rd day of Kerala Ayurveda Tour, you will undergo Yoga and meditation session. It will be followed by an appetizing breakfast. Hereinafter, an Ayurvedic massage will follow up. The Yoga, meditation and Ayurvedic massage session lasts for about two hours daily. After having a scrumptious lunch, you'll move for a half-day city tour of Trivandrum. Trivandrum sightseeing tour includes Kavadiar Palace, Padmanabhaswamy Temple, Museum and Art Gallery. Return to the resort for dinner and night's rest. Yoga, meditation and Ayurvedic Massage is mostly a routine in the morning during your stay in Ayurveda resort of Kovalam. In the morning, attend again a session of yoga and meditation. After that, in order to rejuvenate physically, Ayurvedic massage is done. After scrumptious lunch, the day has been kept free for your leisure activities. Late afternoon, a boat cruise on Thiruvallam backwaters has been planned. During the course of boat cruise, you will chance upon to see traditional homes of Kerala. After this short trip, you'll return to the resort for an overnight stay. Morning session of two hours is devoted to Yoga, meditation and Ayurvedic therapeutic treatment. Thereafter have delicious and nutritious breakfast and spend the day in leisure. Having scrumptious lunch, relax and explore your vicinity in Kovalam. Later in the evening, you will be taken to Kalari, the place where you will see and experience the traditional Kerala health and body care centre. Having visited Kalari, return to Ayurveda resort to relish dinner and take a good night sleep. Though nearby sightseeing tours are being conducted every day on Kerala Ayurveda Tour but its all in addition to Ayurveda therapy. 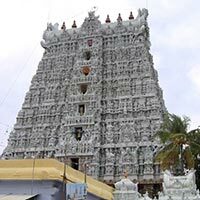 These sightseeing tours are aimed at keeping you abreast about the exotic aspects of India and Kerala, in particular. These excursions, keep the guest thrilled all the time. In that process, after routine Yoga, meditation and Ayurvedic massage, you will be taken to visit Kanyakumari (Cape Comorin). Kanyakumari is the southernmost point of Indian mainland. Kanyakumari, a tourist destination, is part of Tamil Nadu, a south Indian state. Kanyakumari is renowned for its panoramic sunset views, ancient temples and scenic beauty. In the evening, return to Kovalam resort for overnight stay. On the 7th day of Kerala Ayurveda Tour, as per daily routine, the two hours morning session of Yoga, meditation and Ayurvedic massage will take place. The day has been kept completely free for your relaxation and beach leisure. Enjoy the traditional Kerala cuisines for dinner before heading off for a comfy sleep. Having breakfast in Kovalam hotel, proceed for Alleppey which is an ideal gateway from the maddening crowds of everyday life. On arrival at Alleppey, you will be directly taken to the shore of Vembanad lake to board a houseboat before lunch. Have lunch on board the houseboat. Start cruising in the backwater of Kerala which will pass through the palm fringed backwaters and unfold spectacular sights of the countryside before you - lush paddy fields, churches, coconut groves, Chinese fishing nets, temples, water lilies et cetera, sure to stay etched in your mind forever. Have dinner in the houseboat. Enjoy overnight stay in houseboat. After early morning breakfast at the hotel, proceed to Kumarakom. On arrival in Kumarakom, check in at the designated hotel, refresh & get submerged into the luxury of lush nature. Kerala is home to backwater system which is spread in 1500 sq km, encompassing 38 rivers and 5 lakes. Also enjoy breathtaking sight of migratory birds. Kumarakom is renowned as a marvelous bird sanctuary. Return to hotel for overnight stay. Have relaxed breakfast in Kumarakom hotel and proceed for Cochin. On arrival at Cochin, our representative will introduce you with the guide, explain the finer aspects of Kerala Ayurveda Tour and instruct the chauffeur accordingly. 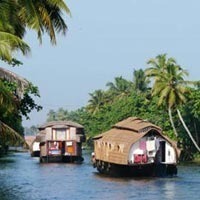 Proceed on for sightseeing tour of Cochin. Cochin port has a rich legacy of heritage and cultural linkages with rest of the world. 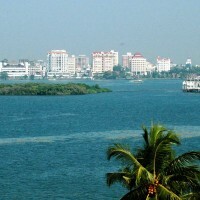 Hence Cochin was aptly termed as "Queen of Arabian Sea. 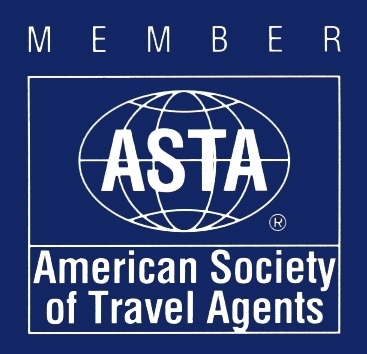 Your sightseeing will include St. Francis Church, Santa Cruz Cathedral, Jewish Synagogue and Chinese fishing nets. After sightseeing of Cochin, explore local market. Late afternoon, you will be transferred to Cochin airport to board flight for your onward destination. Kanyakumari is the place where India’s southern land ends. Kanyakumari, situated at the confluence of three great seas, the Bay of Bengal, the Indian Ocean and Arabian Sea, leaves an indelible impression. The place gets the name from the Virgin Deity. The sun rises over the Bay of Bengal and sets on the Arabian Sea. On full moon evenings, sunset and moon rises can be seen simultaneously. Thousands of visitors assemble on the trip of the sea shore to see this splendor view of natures. Temple of Parashakti, popularly called Kanya Kumari, is considered as a sacred spot. Having a bath at the confluence of the three seas has very pious connotation. Total Meals: 28 (Breakfast-10; Lunch-09 & Dinner-09). Total night stays: 11 (Kovalam-08; Alleppey-01; Kumarakom-01). Along with breakfast at all places, 01 lunch & 01 dinner in houseboat and stay in Ayurveda resort in Kovalam on breakfast, lunch and dinner basis. Kalari village, famous for pristine Ayurveda heritage, tour.